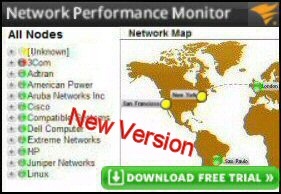 The idea is that you may wish a sub-set of computers to have a different default gateway. 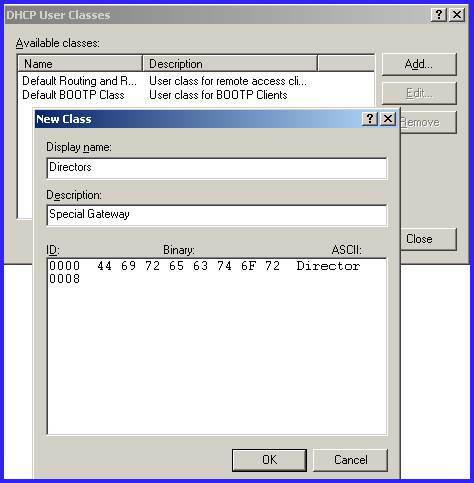 Take the scenario where you have 6 Repss who need internet access and would like those machines to have different DHCP scope options. Now actually making your own User Class work is one of the most difficult jobs in the whole of computing. So go slowly, and pay attention to detail, in particular watch out for what needs configuring on the server, and when to run IPCONFIG on the clients. 1) Create your User Class. 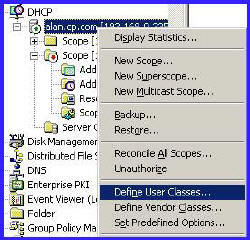 Right-click the DHCP server option, select Define User Classes from the short cut menu. 2) Add your chosen User Class. The trick is to get rid of the dot under ASCI and add a name that you will use for this special User Class. For example, Reps (see screenshot). 3) Remember to create the special options for example, a new Default Gateway. To do this choose the advance tab on the Options. 4) Now we switch our attention to the clients. The key is to tell the clients which User Class they belong to. IPCONFIG /setclassid Reps, would be the answer in for our example. In ‘real life’ I would use a logon script to set this command, your average user would not be able to remember this command. Set your own DHCP Predefined Options. I have one ‘killer use’ for Predefined options, to set the WPAD (Web Proxy Auto Detect) for XP clients. However, I am sure that there will be more uses for Predefined options in the next few years. Now you could set the ISA server Proxy with a group policy, but it may be easier to control via a DHCP option. Change the Data Type box to: String. In the Code box, type: 252. 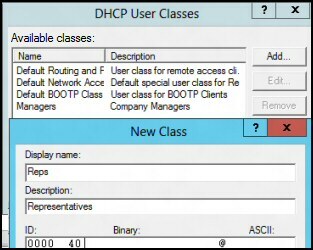 Creating the server and client side of the DHCP User Classes is one of the most challenging and satisfying configuration tasks. Keep you eye out for Predefined options like WPAD 252, where you can automatically set the ISA proxy server for your DHCP clients.